It probably won’t come as a surprise that social media is a crucial tool when it comes to marketing yourself or your business. However, surprisingly few people grasp just how important your social media presence can be in driving new customers your way. When establishing your brand identity, social media platforms can play a huge role. They enable you to express what makes your brand special, while also giving you the chance to tailor your message to perfectly suit your intended audience. In this piece, we’ll look at the basics of using social media to establish your brand identity. We’ll also discuss the different ways you can use social platforms as a part of your sales funnel. Let’s get started! You’re probably already familiar with the concept of brand identity. In a nutshell, this refers to how your brand presents itself across all different channels. As you might expect, one channel that’s getting more important by the day is social media. By using social media networks to market your business, you can expand your potential audience while targeting exactly the people who will be most receptive to your content and services. This is because social media is all about direct communication and personal connections. If you can approach your audience in a way that feels natural and directly relevant to them, you’ll often see a resulting increase in engagement and conversions. Your business’ conversion funnel is an integral part of your marketing efforts. In fact, it is arguably the most important element. Your funnel defines how you want your potential audience to find you, gain an interest in the content you provide, and ultimately be persuaded to convert. Social media affords you with an excellent way of building awareness for your brand, which is the first stage in any successful conversion funnel. By posting interesting and shareable content, you can get your followers to post links on their own profiles, which can dramatically increase the number of visitors to your site. What’s more, social media is also key to building interest and desire in your products or services (the second and third stages of a conversion funnel). How you express your brand identity across these channels plays a major role in determining whether or not your funnel is effective. If you fail to engage your target audience, your posts are less likely to get the reach they deserve, which means fewer potential visitors and conversions in the long run. Let’s turn our attention towards how to keep that from happening. In order to use social media to establish your brand identity, there are a few important things you’ll need to keep in mind. We’re now going to discuss three vital tips that will help you ensure that your branding is effective across all your social media channels. We’ve previously discussed the importance of creating a consistent brand identity, but it’s something worth repeating. It’s very important that the way you present yourself across all your marketing channels is uniform. This will ensure that you have a clear message that’s delivered to the right people in the most effective way possible. For example, an important part of your brand identity is its ‘voice’, which refers to the tone and style you use to write your content. Some brands use a professional tone, while others are more playful and casual. You can probably imagine what it would be like if a brand radically shifted between these two modes. That would make it difficult to pin down exactly what impression they’re trying to make. As such, it’s best to find a voice that works for your brand and stick to it. This includes presenting it consistently on all your social media channels. It’s worth remembering that many people’s first impression of your brand will probably come from seeing one of your posts or links shared by someone else. As such, you’ll want to make sure that everything you post matches your brand identity in terms of voice, content, and message. Another area where consistency is important is how often you post content to your social media accounts. You don’t want one or more of your accounts to go dormant, or update so rarely that it seems inactive. This will create an impression that you don’t actually engage with your audience, and you’re far less likely to build an audience when you do post something. When it comes to frequency, quality is more important than quantity. However, you should aim to set a schedule for how often you process messages, create replies, and post new content on each social media platform. Keeping up a steady stream of regular posts will help ensure that your brand gets the reach and awareness it needs to grow. When you first created your brand identity, you probably asked yourself what made it stand out from the crowd. 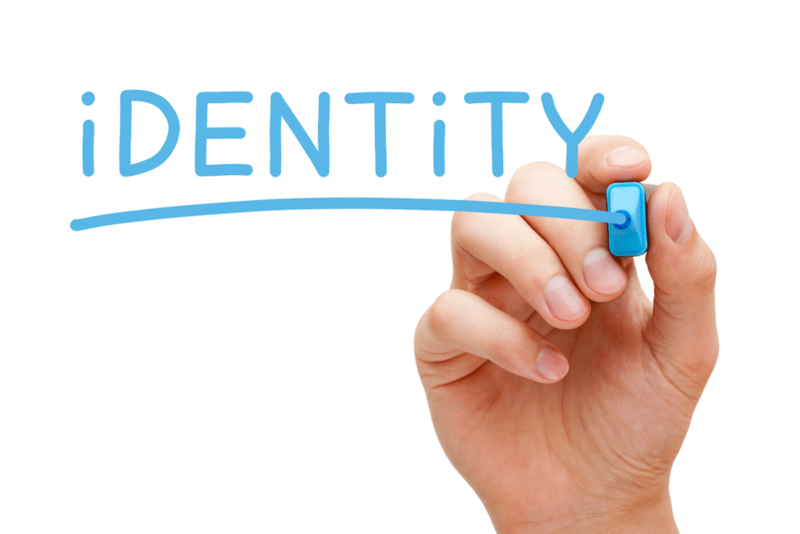 The purpose of constructing an identity for your brand is to inform users about what your brand is, what you do, and what problems you can solve for them. You’ll want apply the same thinking when using social media to strengthen your brand. When expressing your brand across your target platforms, therefore, you’ll need to leverage what makes it different and special. In short, avoid simply chasing trends for the sake of it, as this will make your business come across as a follower rather than a leader. If you’re trying to ape what other brands are doing, you’re sending the message that you have nothing unique to offer. Instead, focus on what your business does that’s unique, and let that inform how you engage with your audience. If used right, social media can be a key factor in establishing what makes your brand stand out from the crowd. With so many competitors vying for the same audience, you’ll need to ensure that your brand identity is not only unique, but consistent across all channels. This will help you establish your brand, and even potentially increase your conversions. In this article, we’ve discussed how you can fit social media into your brand’s conversion funnel, and what you need to consider when using social media to promote your brand. The key considerations to take away are that you need to be consistent, post regularly on all of your target platforms, and focus on what makes your brand original and valuable. Do you have any questions about using social media to build your brand? Let us know in the comments section below!